When I was a kid I always wanted to electrify my Lego creations. I wanted my Lego planes to fly, and I wanted my Lego cars to drive. The latter is finally possible thanks to Lego’s new Power Up platform, a set of features that lets you add motors to Lego creations and control them with a smartphone app. One of the first sets is a drivable Batmobile, and boy, does my dog hate it. 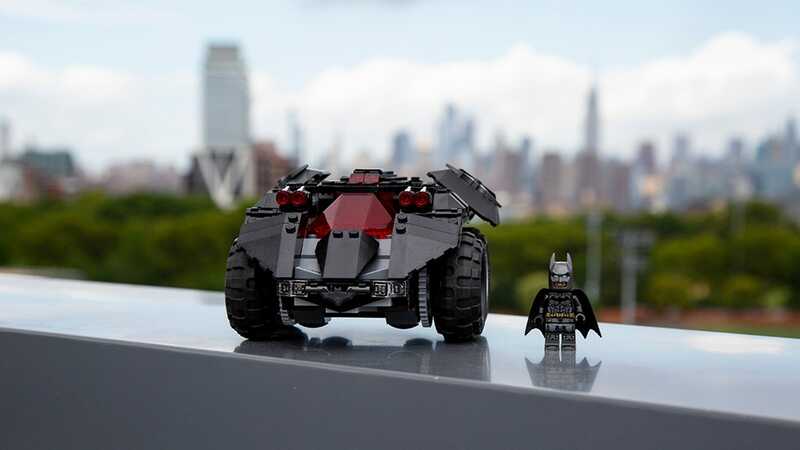 The new 321-piece set is essentially a remote-controlled car, and that car happens to be a modern Batmobile. The design resembles the vehicle in the Christopher Nolan Batman movies, so it has a beefier, tactical sort of feel. This actually comes into play when you’re actually driving it around, too. 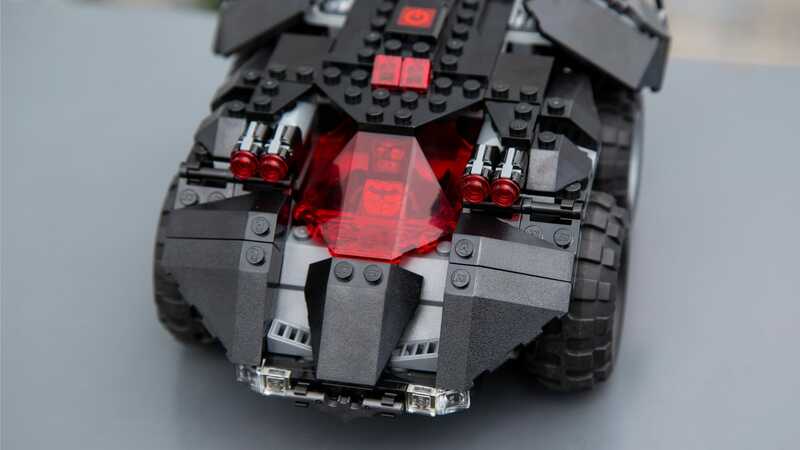 Much like a tank, you control the Batmobile’s left and right wheels independently. And since the wheels are pretty close together, you can do cool tricks like spins and wheelies, which are programmed into the two different drive interfaces on the app. There are also buttons to do Batmobile-specific moves like the famous “loiter and intimidate” mode from Batman Begins. (For those who don’t remember, this is the cool remote-controlled feature that Christian Bale’s character uses to freak out bad guys by making the Batmobile do tricks when he’s not around.) The downside to this is that there’s no option to switch to traditional steering, probably because the Batmobile doesn’t have a traditional rack and pinion steering setup. That means you’ll have to practice your tank-style steering before putting this thing through an obstacle course. The app experience, by the way, is awesome. 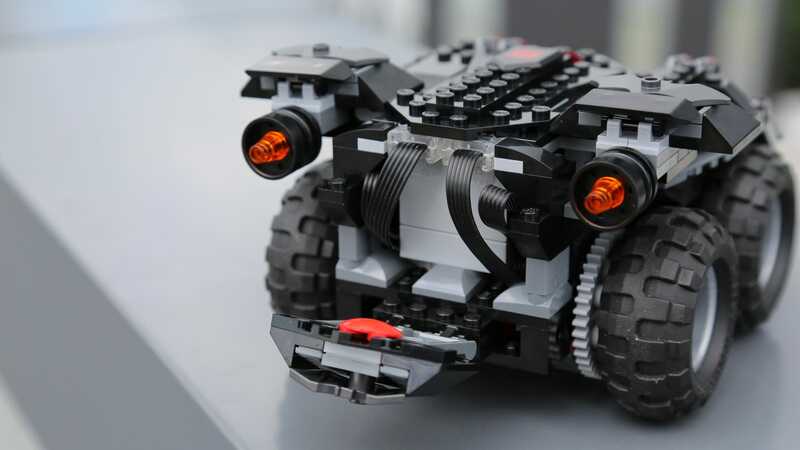 The Lego Batmobile works because two motors plug into a Bluetooth-enabled core powered by six AAA batteries. 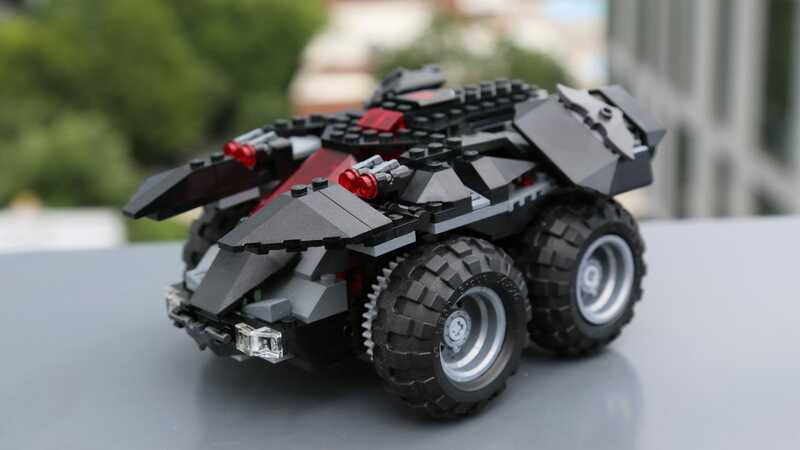 Once you’ve built the Batmobile, you just have to fire up the Lego Powered Up smartphone or tablet app, pick the Batmobile from the available list of sets, and then hit the power button on top of the vehicle. 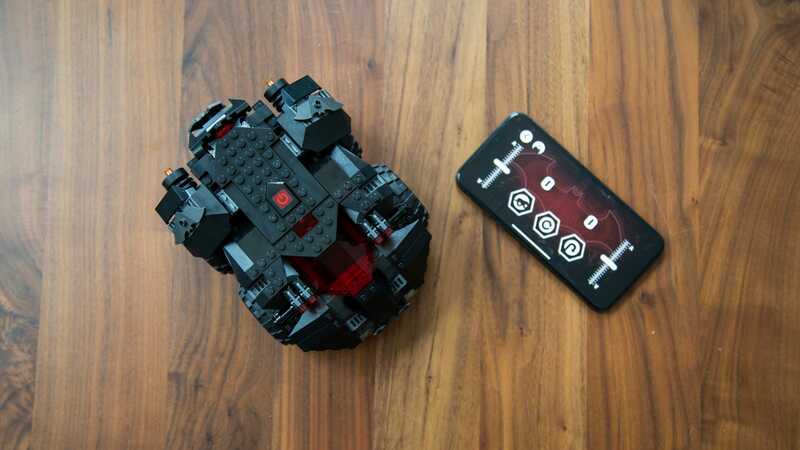 Lego handles the Bluetooth connection for you so you don’t have to navigate to your system settings and find the Batmobile in your list of paired devices. In my experience, connecting my phone to the car just worked, every time I tried. 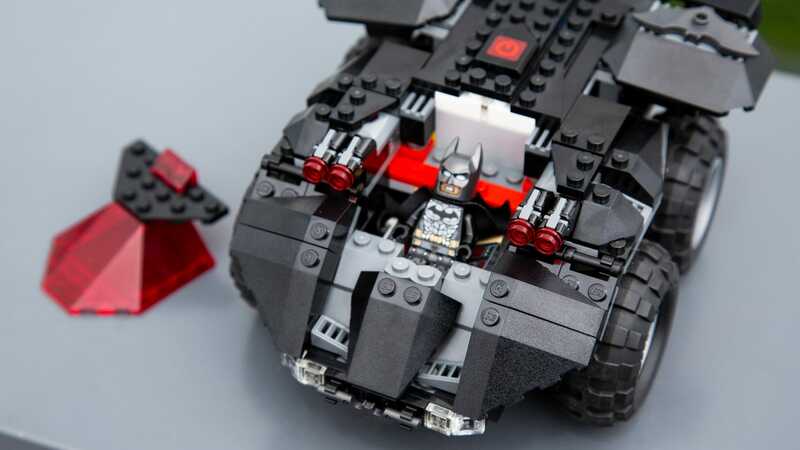 Speaking of that list of sets, the Batmobile is one of several Powered Up sets that Lego is launching this summer. Others include a Lego City Passenger Train and a Lego City Cargo Train, both of which seem decidedly less fun than a dang Batmobile that you can drive around anywhere, no tracks required. (Sorry, train nerds.) But it’s clear that Lego has big ambitions for its new connected future. 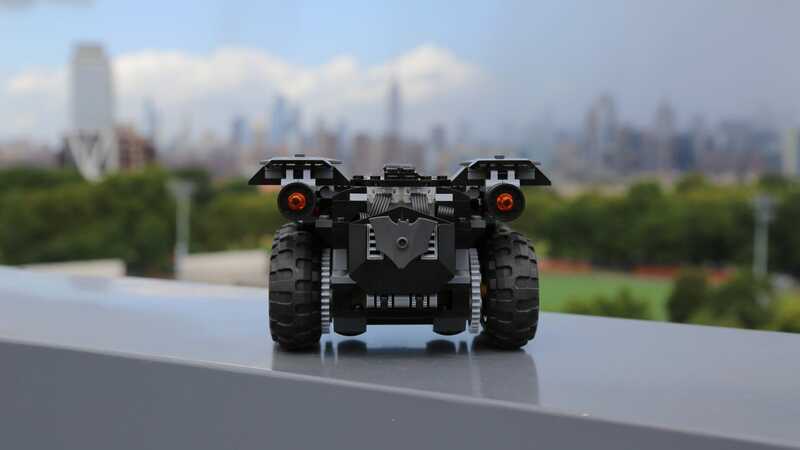 The company started the shift last year, when it released Lego Boost, a connected robotics kit designed to be a starting point for kids that might be into Mindstorms, Lego’s decades-old robotics product line. Whereas Lego Boost is meant for seven- to 12-year-olds, the new Powered Up line is eight and up. As someone who is decades older than eight, I personally think the Powered Up Batmobile is a blast. There are many things you can do with a remote-controlled Lego creation. I have primarily been using the Lego Batmobile to confound my young dog, Scout. She loves to chase it around my apartment and bark at it. It’s a testament to the Batmobile’s construction that she hasn’t been able to break it, despite trying on several occasions by swatting it with her little paw. (The Batmobile does have some small parts, including little red blasters, that could fall off and be dangerous to young kids or pets.) 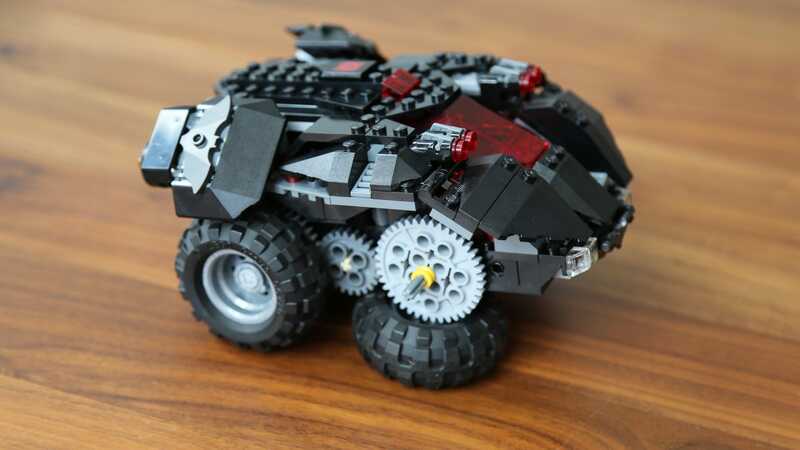 At the end of the day, though, the Lego Batmobile is a Lego creation. That means, if you drive it into a wall hard enough, Lego bricks will go flying, and you’ll have to do some rebuilding. The flaps on the front and rear of the Batmobile flip up for, um, aerodynamic purposes. This is what the rear flaps look like when they’re up. There’s also a boot of sorts that folds down in the back and provides access to the cords that connect the motors to the Bluetooth module. Pulling off one of the wheels shows that the Batmobile’s drive train is a simple series of interlocking gears that connect to the motor. 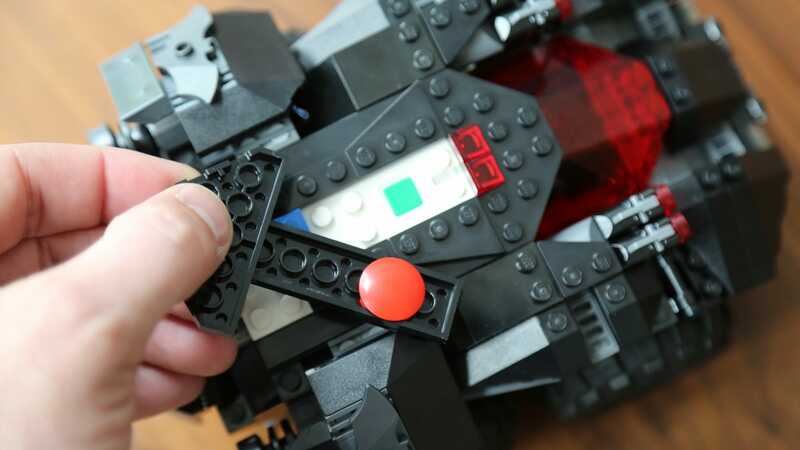 The power button is actually hidden beneath a few Lego pieces that let you push the green “on” button without taking anything apart. This is the taken-apart view, though. Here’s an aerial view with the power button cover in place as well as the one of the two screens from the app. This is the other screen you use to control the Batmobile. I like this version better. What I’m most excited about, though, is what Lego does next with the Powered Up platform. The Lego Batmobile is fun and looks awesome on my shelf next to my non-Powered Up Ecto-1 from Lego’s Ghostbusters lineup. But what’s next? For me, I’m planning on yanking the motors and Bluetooth module out of the Batmobile and seeing if I can make the Ecto-1 drivable. I’m also really curious to see if Lego makes more complex Powered Up systems that integrate other connected modules, like sensors and switches. After tinkering with the Batmobile, I can’t look at a regular Lego set without wondering what it would be like with robotic parts. I guess what I’m really saying is that I can’t wait until Lego makes an aeroplane that actually flies.